Okay so I've been reading some skepticism on which metals to use and where. 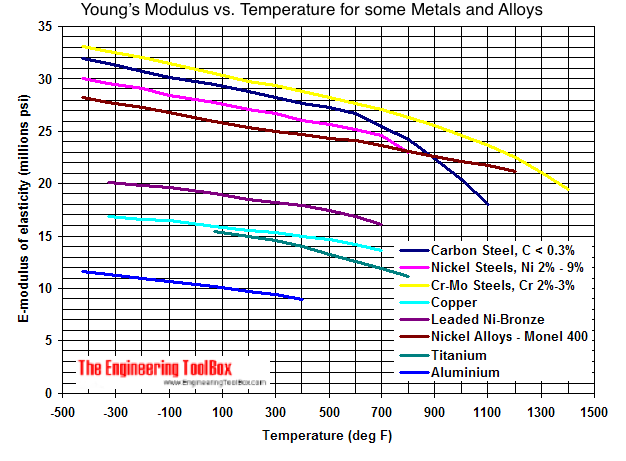 I agree that aluminum is best for the host because it is lightweight and strong, but for the heatsink I have some knowledge that I have obtained from majoring in Biochemistry. All elemental metals have what are called specific heat capacities. This is a value that tells BASICALLY how cold or hot the material is at a given temperature. A higher heat capacity means the warmer at a given temperature. I remember this because the specific heat of water is about 4.186 J/gm K and the specific heat of ice is 2.05 J/gm K. So for a heatsink, you want to have the lower specific heat. So in all, copper is the better heatsink because it has a lower specific heat, which means that it will more readily dissipate heat. I'm definitely open to skepticism so please comment and lets increase our collaborative knowlege! Some metals with lower specific heats than copper will be malleable, which means that it might melt or distort through heating from the diode. "This is a value that tells BASICALLY how cold or hot the material is at a given temperature." Heat capacities tell you how much energy is required to raise the temperature of a material by 1°C. If you had an isolated closed system at thermal equilibrium the materials would have the same temperature at your given temperature. ie they would reach thermal equilibrium. The difference would be how fast the materials attain that temp. Materials with a higher specific heat capacity can store more energy in eg the rotational, translational and vibrational modes and therefore take longer to reach a specific temp. The thermal conductivity is different and it doesnt necessarily mean that a material with a lower specific heat capacity will conduct heat more effectively. Your argument would suggest that copper would have the best thermal conductivity of the three and that diamond would lie somewhere in between. If you do a little searching on the forums youll find this has been discussed numerous times. Aside from what you posted- there is a difference in how quickly the HS cools back down- IIRC copper tends to stay warmer longer than Al. TY for adding that info; there is very likely a thread(s) on this so you may want to find them and post this there as well. If you had an isolated closed system at thermal equilibrium the materials would have the same temperature at your given temperature. ie they would reach thermal equilibrium. The difference would be how fast the materials attain that temp. Materials with a higher heat capacity can store more energy in eg the rotational, translational and vibrational modes and therefore take longer to reach a specific temp. The thermal conductivity is different and it doesnt necessarily mean that a material with a lower heat capacity will conduct heat more effectively. Your argument would suggest that copper and Al would have the same, or very similar, thermal conductivities and that both of these would have a better thermal conductivity than diamond. Here we go again... Copper is better, but if you can't afford it aluminum will do just fine. Edit: At the OP I find a copper module in an Al heatsink is easily sufficient for most of our needs. My Saik build at 1.8 A with M140 is setup like this and I get a good few mins before the HS even starts to get warm. Of course Cu is better and I actually prefer it, but price wise for most of our builds it doesnt really make sense. Really? I would think that aluminum would be more expensive because I thought that it's harder to machine and cut than copper. Plus aluminum is usually made with an alloy right? and copper isn't? No Copper is really difficult to machine. It is quite soft and sticky and tends to break bits...Al is a walk in the park in comparison. Try drilling a hole through a copper rod and see how many drill bits you get stuck in the rod. Both Copper and Al exist in high purity and alloyed forms...The alloy of copper we often use for heatsinks is C101 it is very high purity. Copper is harder to machine- Al is soft by comparison. Titanium i VERY hard to machine and makes a VERY poor heatsink I have been told= To lathe and mill operators Ti is known as a 'tool buster' due to how hard it is. IMHO Jander nailed it- I really do not see any great advantage in copper over aluminum. YES this has been posted MANY times- easy to find the other threads via our free search bar. What you're missing is volumetric heat capacity. Gram for gram aluminum has a higher heat capacity, but our heatsinks aren't dictated by mass they are dictated by volume(the space you have within the host). In this way copper wins out by about 40%, and is a far better thermal conductor. My vote is for aluminum. It is cheaper, easier to machine, and more resistant to corrosion. Yes, copper has a slightly better thermal conductivity, but that does you no good when the heat only travels 1 inch, and has nowhere to go after that. If you need to get rid of 300W of heat from a >50 core xeon phi using 50mph air flow and a heat sink not much larger than a couple decks of cards... you need copper. For the <8W of heat in a pointer, anything besides aluminum is silly. Not to start an argument but I disagree, when in the case of a C6 host the difference of Al vs Cu in $ can be <$10 netting an over 40% increase in run time. That IMO on a $50+ diode is a no brainer. Does it not also come with a 40% increase in cooldown time? I am with Cyparagon on this one and feel when the heat has nowhere to go you really don't get much advantage out of copper. On the C6 specifically. Those host were cheap and great back in the day when the most powerful diodes we had were 6X bluray diodes and we just never stopped using them because they were so inexpensive. Now with the 445's the C6 is just not a good match with exception to the extended sinks like SL pairs with them. People will always end up running them longer than they should and since that head isolates the heatsink so well you really have a hard time judging how hot the heatsink really is by feeling the host body. Maybe it should be a no brainer just to not use such a small heasink with a $50 diode. No , aluminium is not strong. It has a crap young's modulus and modulus of elasticity when you take into account that lasers tend to roll off tables. The question of whether you should choose a copper or an aluminum heatsink has never been a question of which one has a better performance , its always about the WALLET. To put things into perspective . Assuming a given heatsink is the same in design and only differ in material . Better Volumetric heat sinking : COPPER! WINS! Heat transmissivity : COPPER WINS! I don't think diode lasers face such a problem . If you make use of the full duty cycle yes it would take longer to cool since it can take in more heat. I agree though aluminum has it's place, I have an Al sink for my mag lite build.